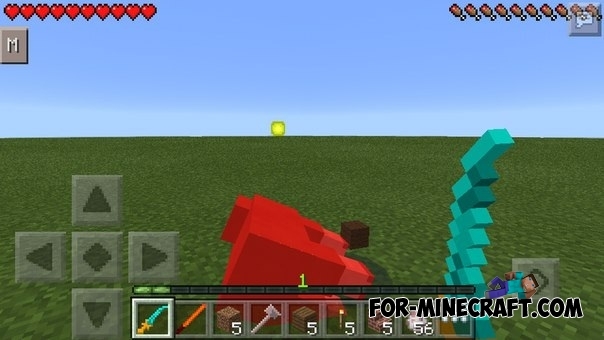 Legendary Weapons addon for Minecraft PE adds a 3 new object, which have its own unique abilities - to kill by one hit, burn and throw the player high up! At the moment, you can not get the items by crafting. You can take them in the inventory of the creative modes, third-party programs or ToolBox addon (download), who has recently been updated to 0.13.1. 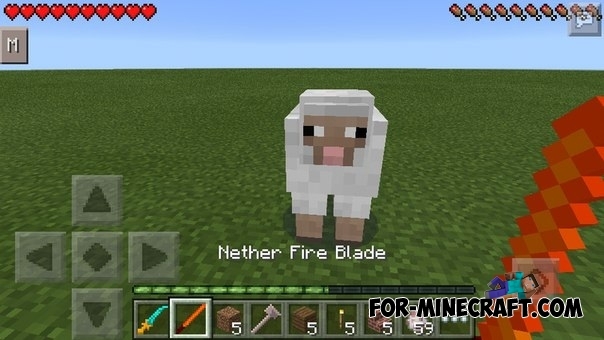 Heaven & Hell Gear Mod for Minecraft PE 0.10.5Heaven & Hell Gear Mod adds two machines in the pocket edition, which will allow you to get the demonic and heavenly ingots.